A stunning new Nokia 9 equipped with 5 rear cameras? Shut up and take our money! Just when excitement for Nokia's next flagship phone, the Nokia 9, reached a new level of excitement thanks to a series of mobile industry leaks, a stunning new Nokia 9 video has hit the internet. The most mouth-watering part of the Nokia 9 video, asides from the phone looking absolutely dynamite? The Nokia 9 in the video comes packing FIVE rear cameras! The standout feature of this Nokia 9 video? Without doubt the Zeiss-made five-camera system installed on the backplate. 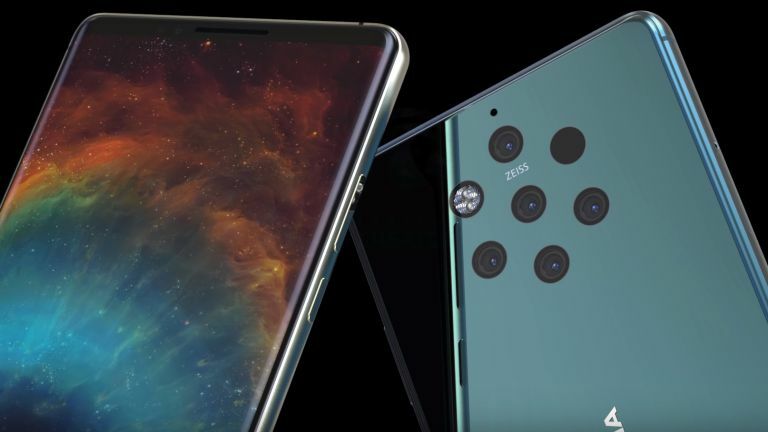 A camera array of that quality would easily outgun the triple camera system installed on the Huawei P20 Pro, and also likely scalp both the new iPhone XS and incoming Google Pixel 3, too, in terms of image quality. On top of the standout camera system, the other thing that really turned T3's head in the video (which comes courtesy of mobile industry designer Concept Creator, who specializes in creating incredibly high-quality concept devices based on the latest industry leaks and rumours), is the Nokia 9's near bezel-less edge-to-edge display, which seems a cross between that installed on Samsung's Galaxy Note 9 and that on the new Sony Xperia XZ3. Would a finished, official Nokia 9 equipped with this camera system and display, as well as a competitive internal hardware suite get into T3's prestigious best smartphone guide? Almost certainly. And it would definitely be a shoe-in to get inserted into our best Android phone guide, too. We're super excited to see what Nokia has in store, and with the Nokia 9 potentially only days away from an official unveiling, it looks like we won't have to wait long to find out. As such, be sure to check back in to T3.com soon for the complete Nokia 9 picture.